Interested in living a more sustainable lifestyle? These local businesses, nonprofits, and government resources can help! Looking for something else? Contact us at [email protected]. How it works: We give you a container, you fill it with compostable waste, (no recyclables), we pick up from you weekly, you receive compost in return! 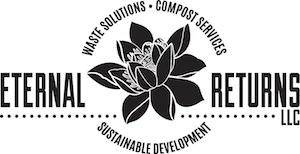 Middle Tennessee's source for organic waste recycling services! They convert organic waste into high quality soil to be sold as compost, mulch, and topsoil! Turnip Green collects various forms of paper, craft items, toys, fabrics, office supplies, art supplies (and more!) to be refurbished and redistributed to the community. Creative reuse helps reduce the size of landfills while supplying tools to artists, schools, and businesses at a low cost. Eternal Returns offers a wide range of sustainable goods & services. From eco-friendly home & living products, to sustainable design & wood working, to recycling & composting services, we are here to help you live a more conscious lifestyle. Complete the “Contact Us” form on the website for more information. Metro residents can bring electronic waste and household compost to these centers. SMART accepts your unwanted crafts supplies, containers, paper, tech supplies, fabric, stickers, foam board, and more! They offer these materials at a highly discounted price to encourage reuse and reduction of waste. 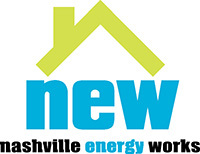 Green Home builds creative custom homes in the Nashville area utilizing the latest green technology and design concepts while working within a client's budget. Mossy ridge is dedicated to sustainable practices in residential construction that minimizes their environmental impact. They utilize LEED-certified standards and a step-by-step design process involving client, architect, and designer, to make sure a home is both environmentally sound and structurally distinct. E3 Innovate works on existing homes as well as commercial and new homes to make it a healthier, more enjoyable place for your family. Our full range of services for commercial clients can be mixed and matched. We tailor to fit your needs. Since MiKen Development was formed in 2012, it has been responsible for developing over 260 units within the urban core of Nashville and has a current pipeline of over 600 more units. MiKen's Stack 19 development will offer 19 rental units and 2,000 sq ft of retail in former shipping containers. Way to reuse! Mid State Construction provides Commercial/Industrial, Geothermal, and Bridge/Structure services for the Greater Nashville Area. USGBC Tennessee transforms buildings and places to create healthy, prosperous, and sustainable communities through Education, Advocacy, and Action. With over 625 LEED certified projects, they are reducing energy consumption, water usage, and promoting environmental air quality. Bell & Associates is committed to protecting the environment throughout the entire construction process. This commitment is fulfilled by incorporating sustainable principles and environmentally responsible practices into the company’s administrative and construction operations on every project. 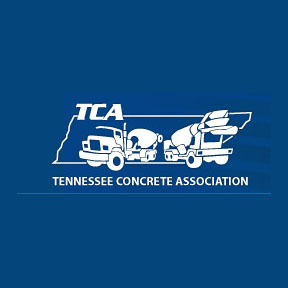 Tennessee Concrete Association is the unified voice for the concrete industry to improve our image and awareness through advocacy, promotion and education that support our members, our community and our future. TCA also specializes in pervious concrete for green building projects. 31 convenient B-stations and 263 bright red bikes to get you around Nashville! Inexpensive, healthy, simple, convenient, B-Cycle is designed to encourage a healthy and environment-centered mode of transportation. The Regional Transportation Authority (RTA) is supported by member communities. Created in 1988, RTA provides ridesharing opportunities in order to promote the economic growth of our membership and improve the air quality of our community. With over 30 different routes, Nashville MTA provides a convenient and inexpensive means for traveling within Nashville! Riding the bus reduces traffic volume and carbon dioxide emissions in the city, and helps support the government's public works. As Nashville's only solar powered transportation, ELF produces no waste, no pollution, and is legally allowed to travel in bike lanes. ELF can travel up to 20 MPH by pedaling and 30 mph by solar power! Green Fleet sells a wide variety of bikes, offers service and repairs as well as fun and exciting guided bike tours around Nashville! Tour guides include local professors, musicians, business people, home brewers, students and more - people that truly represent the unfiltered, local story of Music City! Moving & Storage Services for homes and businesses! 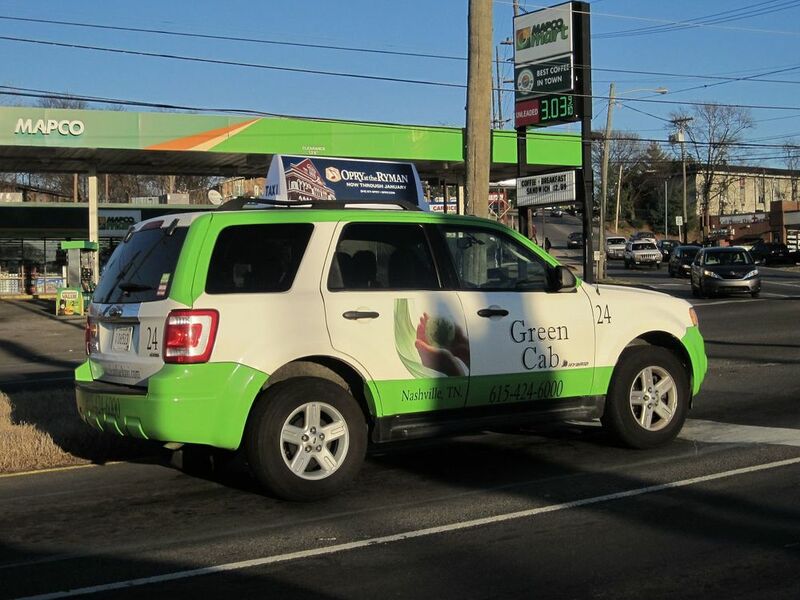 Nashville's First and only all hybrid and alternative fuel taxi fleet! Waste-to-energy: convert industrial and municipal waste, or renewable biomass, to a clean-burning fuel gas through an environmentally friendly thermo-chemical process. A program started by the Mayor's Office that connects Davidson County homeowners with a variety of resources that help them make affordable home energy improvement, including a helpful list of Home-owner how-to’s. Their Online Energy Saving Tools is a suite of online resources that help homeowners identify ways to save money on their home energy bills. Piedmont’s Home Energy Calculator asks the user a few simple questions and then provides an estimate for current energy usage, in addition to recommendations for how to save energy and reduce costs. "At Tennessee Solar Solutions, we will walk you through the complete process of becoming energy independent. When we say “from conception to completion,” you can be rest assured that we mean it." LightWave Solar is experienced in turn-key solar photovoltaic (PV) design and installation for businesses, homes, municipalities and non-profits. Check out Nashville Electric Service's tips on how to save electricity with all aspects of your house! Socket is Nashville Metro Government's interactive window into ongoing sustainability efforts brought to you by The Department of General Services! Toxin-free salon and spa experience; hair, skin, body, lashes, & overall wellness! Founded in 2008 in Nashville, TN, Eco Diva provides personal care using products that are truly natural, chemical free, biodegradable and affordable. Eco Diva creates products that contain no parabens, SLS, phthalates, dyes, chemicals, synthetic fragrances or preservatives, and uses sustainable practices in order to minimize their carbon footprint. All of the products used are thoroughly vetted for their ingredient content, pureness and efficacy. Poppy and Monroe has traveled the globe to find the newest innovations in green beauty and are committed to partnering with brands who set new standards for safety in personal care products. Thistle Farms's social enterprises employs residents and graduates of the residential program. They operate a natural bath and body product line, the Thistle Stop Cafe, the Studios Workshop and Thistle Farms Global Marketplace. Home to Tennessee's Largest PV Solar System - 288 solar panel system (which covers 40% of the roof) offsets property’s energy costs by at least $22,850 annually. The city square has received 3 TN Clean Energy Technology grants and Federal Energy Investment Tax Credit, covering 70% of the installation costs. Eco-friendly requirements for food and drink vendors. Team Green Adventures is your source for new and creative ways to spend your free time, whether it’s an extreme adventure, leisurely hike, volunteer opportunity, or social gathering. They hold monthly events that facilitate discovering new ways to appreciate our environment while providing opportunities to experience nature and fitness in educational and challenging ways. Providing fresh, local, and whole foods to the community since 2001, The Turnip Truck is Nashville’s only full service, locally owned natural foods grocer with a full cold & hot salad bar! When: Saturdays from 9:30am - 12:30pm, May - Dec.
Green Door Gourmet is a unique farm to fork venture that produces and provides local artisan foods and plants in a farm-cooperative community setting. They grow to 80 varieties of herbs and flowers, and a wide variety of fresh produce grown using natural methods which follow an organic holistic model. As a resource of Tennessee Department of Agriculture, Pick Tennessee is a guide to connect people everywhere to Tennessee farms, farmers, farmers markets and all the great things that come from our farms and food businesses. The Produce Place is a locally owned natural food grocery store located in the heart of Sylvan Park. 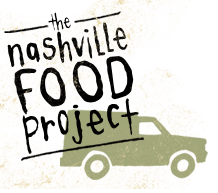 Opening July 15th, 1988 The Produce Place began its relationship with local farmers and produce growers providing fresh fruits and vegetables to the people of Nashville. Greener Roots Farm is Nashville’s first commercial scale hydroponic vertical farm. We grow herbs and leafy greens indoors, year round and supply them to local establishments. All of our produce is pesticide, herbicide, and GMO free and travels less than 10 miles from farm to fork. We use 90% less land and water than conventional farming, resulting in a production that yields 10x more produce per square foot. Bringing people together to grow, cook and share nourishing food, with the goals of cultivating community and alleviating hunger in our city. The Cumberland River Compact works to improve water quality in the Cumberland River Basin, as well as quality of life in the surrounding communities. Their goals are to teach community members to understand the social, environmental, and economic importance of water, protect the water through healthy land practices, and connect local residents to recreational activities in and around the basin. Volunteers install improvements that decrease utility costs in homes: Average $390 savings per year! Walk Bike Nashville promotes active transportation and encourages Nashvillians to utilize the sidewalks and bikeways as a commuting option as well as recreational activity. They offer a variety of educational programs focused on safety and skills for alternative transportation in the city. The foundation brings together volunteers, farmers, scientists, business leaders, city officials and more dedicated to preserving and restoring the ecological health of the Harpeth River and its Watershed. They are committed to rebuilding and maintaining the balance between the natural ecosystem and the human uses of the area. The nation's largest and most influential grassroots environmental organization, with more than two million members and supporters. They've helped pass the Clean Air Act, Clean Water Act, and more! The Tennessee Chapter holds events and meetings to help keep our state clean and naturally beautiful. Plant the Seed is a Nashville-area nonprofit providing education through garden-based learning to school children. They partner with schools in the most vulnerable neighborhoods in Nashville, in order to make school gardens sources of vitality in low-income areas. This helps increase food access and awareness for young people who may be food insecure, thus improving the health and wellbeing of students and families. 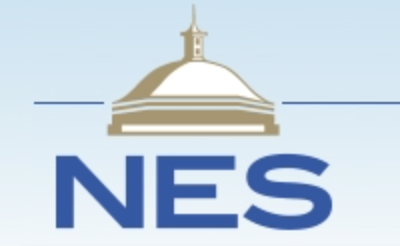 Our Mission: Educating and advocating for the conservation and improvement of Tennessee’s environment, communities, and public health since 1970. At CNM, nonprofit board members, executives and staff have the opportunity to learn how to enhance their services through our comprehensive calendar of skill-building workshops and our annual Bridge to Excellence conference.